Leaders from the town Ofra and general Judea and Samaria leaders decided to start a hunger strike in front of the Knesset under the theme: "Ofra demands an arrangement". 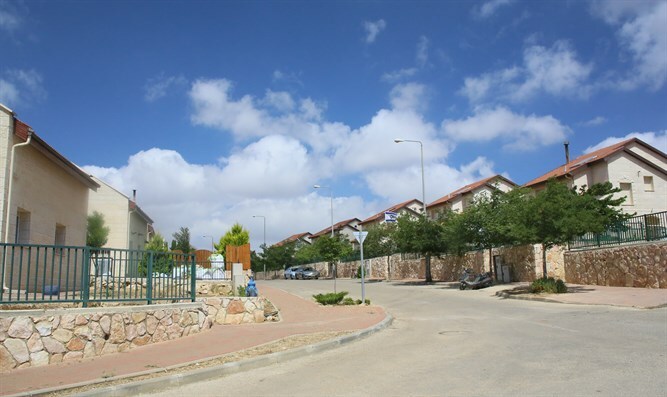 The decision was taken last night (Saturday) at midnight in response to the anticipated destruction by February 8th of nine houses in the town of Ofra according to court order. The meeting at which the decision was made was attended by Ofra representatives together with the Chairman of the Yesha Council Avi Roeh and the Secretary General of Amana Ze'ev Hever (Zambish). "The expected destruction on February 8th is the result of government incompetence, who did not make the proper legal arrangements for the town and exposed it to destructive lawsuits. It is one example of many that illustrates the systematic attack on our ability to expand and develop the fabric of our normal life," they say in Ofra. "With the inauguration of the new US President, we have an historic opportunity and chance to settle once and for all the status of Judea and Samaria and to allow pioneers to exist and develop like all Israeli citizens," added the statement from Ofra. "The community in Ofra calls on leaders and the public to support the struggle and join the hunger strike will begin next Sunday in front of the Knesset," said the official statement.